While I was gone people talked about how they wanted the cover to not be released, or did want it to be released. DC decided to pull it from being an official offering at the request of the artist--Rafael Albuquerque who felt all the hubbub detracted from what he was doing--namely, making a comic-cover that alluded to the famous "The Killing Joke" story. 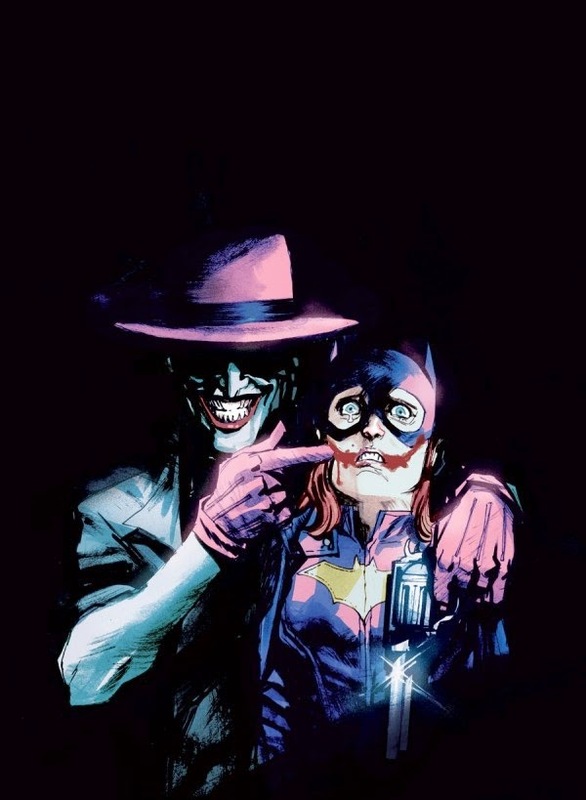 I think Bleeding Cool summed up pretty well why the cover is inappropriate for "Batgirl" currently, in that the comic has a much more bright and peppy tone, but I understand how people could be disturbed by the cover and its implications of calling-back to a story that featured the Joker paralyzing, degrading, and possibly sexually assaulting Barbra Gordon. As I said, I can see how the cover upsets some, and at the end of the day it is completely up to the original artist and DC what they feel to do with a cover that isn't even the main one for the comic, but a variant few would even have seen. What bothers me is that what started out as an argument over whether a not a cover should be printed has grown into something being treated as the potential end of the world. "Prolonged, public, and heated," indeed. This is a comic-book cover. It is not a case of censorship, "Social Justice Warriors" ruining men's rights, or feminism run amok as some are claiming. This is not some big conspiracy to ruin comic-books (a la how #Gamergate claimed it really was all about, "Ethics in Journalism") and I find myself annoyed by how people who could care less about our medium suddenly are galvanized to support one side or the other of this controversy for little more than their own gain. All the conservative websites talking about this don't care more about comics or video-games than they did yesterday, they just see a way to possibly gain some more support, money, or both and have hopped on the bandwagon of the latest controversy that is now more of a "controversy" with those big quotation marks there for a reason. Liberal folk benefit too because it lets them claim how the other side is being insensitive, should realize the cover concerns people (AKA people they want supporting them) and etc. I personally don't care if this cover comes out or not because 99% of the time I avoid variant covers like the plague. Everyone thinking they can use this as a way to drum-up attention annoys me though, as if the slightest bit of argument has to grow into an epic political fight with anyone who thinks they can get more clicks or dollars getting involved. Should you not care about something, don't use a controversy for your own gain. If you are a conservative or liberal who truly loves comics and has an opinion on this, that's great--but please for the love of God don't give Adam Baldwin something else to ramble on about. A Review of "Teen Titans: Earth One"